Home > News > Where to Stay in Washington D.C.
Where to Stay in Washington D.C.
With less than two months until the start of non-stop flights through United Airlines from Ithaca to Washington Dulles International Airport (IAD) on October 4th, it’s time to start your planning! One of the most important decisions to make is choosing a place to stay. This can be a difficult choice, as there are so many great neighborhoods and accommodation options in D.C. But, whether you plan to travel with family, friends, or solo, we are here to help find the perfect D.C. lodging for you! When visiting D.C. on a family vacation, one of the best places to be is downtown near the National Mall. 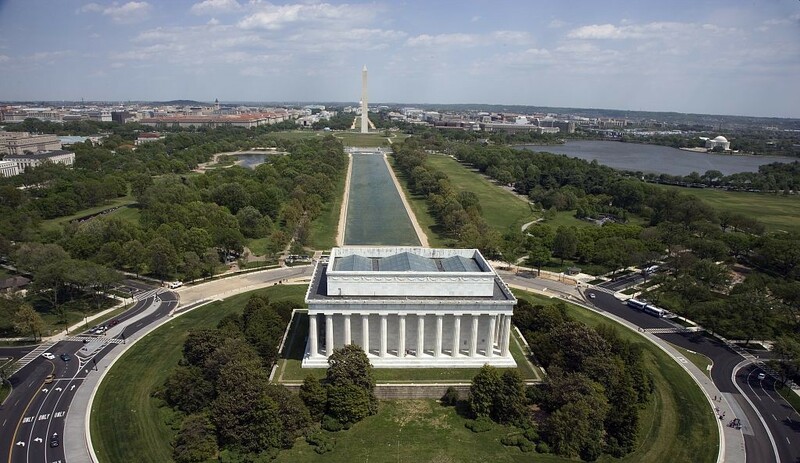 The National Mall provides many sightseeing opportunities, including historic landmarks such as the Lincoln Memorial, Washington Monument, and the U.S. Capitol Building. Along with that, there is the National Zoo, the U.S. Botanic Garden, and an abundance of museums. You will never run out of things to do! 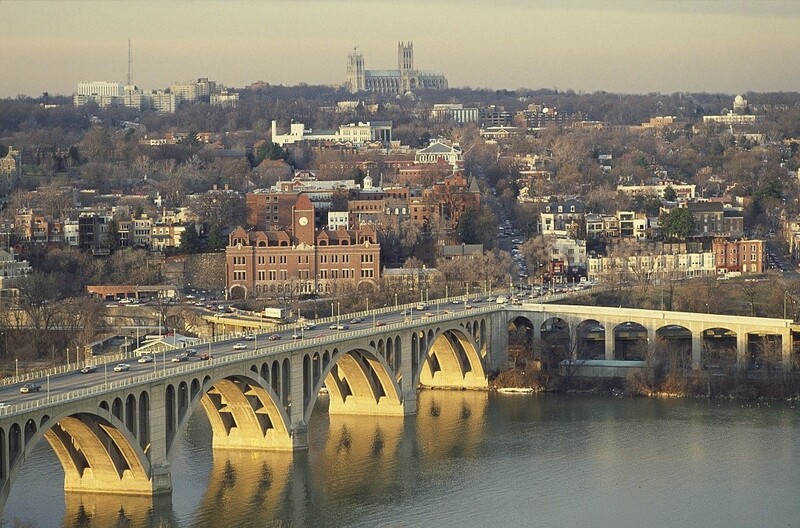 The Holiday Inn Washington-Capitol is a good hotel option for families, as it is within walking distance from the National Mall, and is one of the more affordable hotels in this area. Additionally, they have a seasonal outdoor rooftop pool that is fun for both the kids and adults! 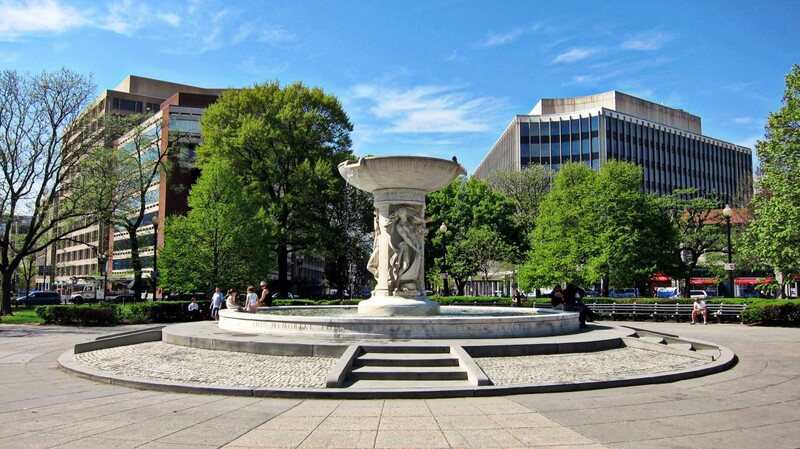 If you are looking to spend some quality time with your partner, we suggest staying in Dupont Circle. This neighborhood is commonly chosen for romantic getaways because of its fashionable boutiques, trendy bars, and elegant restaurants. Dupont Circle is known for Embassy Row, a street that’s lined with international embassies. This brings an international flair to the area, giving Dupont Circle a unique culture. The Embassy Row Hotel is not only an excellent place to stay, but it also has amazing amenities like its pop up yoga classes, gorgeous rooftop pool and bar, and in-room spa treatments. To top it off, this is a dog friendly hotel and your furry friend can stay for FREE! 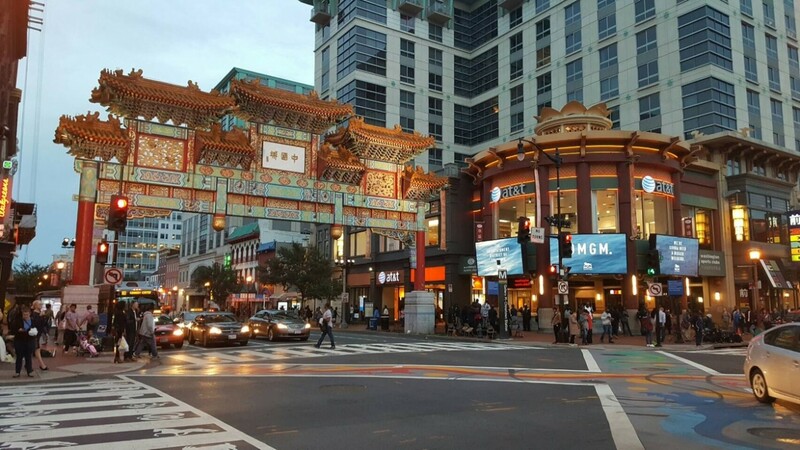 While planning your “friendcation” to Washington D.C., consider staying downtown in the Penn Quarter and Chinatown area. This is a very energetic part of the city with a strong nightlife presence. During the day you can spend time visiting the nearby museums, contemporary art galleries, or high-end boutiques. At night, catch a play at the Ford Theater or hangout at one of the many area bars. We recommend getting an Airbnb during your stay. Airbnb, an online hospitality service that provides short-term lodging in apartments, hostel beds, homestays, and other types of housing, will allow you to choose which lodging and location will be best for your group. If you are doing some solo traveling around D.C., a good place to spend time is in the Georgetown and Foggy Bottom neighborhoods. In Georgetown there is a nice mix of antique stores and designer boutiques, along with the beautiful colonial buildings. Set next to the Potomac River, you can begin your day with a stroll along the breathtaking waters. From there, you can head over to Foggy Bottom to visit the John F. Kennedy Center for the Performing Arts or relax at an urban café. We suggest lodging in a suite style room at The River Inn, which is only a mile away from the iconic White House! What better place to be for a business trip than on the Capitol Hill itself? Right in the middle of downtown, you have access to many restaurants and bars. If you have spare time, you can walk over to the National Mall to take in the historic U.S. monuments or wander through the dozens of museums. The Hyatt Regency Washington on Capitol Hill is one of the best places to stay in D.C. for business. 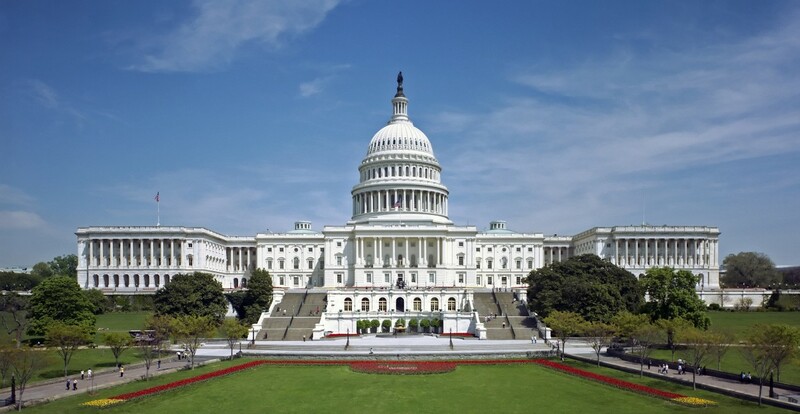 The hotel has tons of space for meetings or a conference; plus, it’s only a short walk to the Capitol Building and a mile away from the Walter E. Washington Convention Center! Now that you have a guide of the best places to stay in Washington D.C., planning your trip to the U.S Capital will be easier than ever! We look forward to hearing about your experience in one of the nation’s most lively cities. If you don’t have your tickets to Washington Dulles International Airport yet, be sure to book your flight through United Airlines today. Happy planning!